According to the latest reports, the well-known organization, Mozilla Foundation, of course, it is the creator of the well-known Firefox browser, recently launched a brand new application for Android, and not only that even the operation of the app is quite simple just like the web version. Many of you might have heard and even used, WeTransfer, it is a file sending service that simply allows you to send any type of document completely for free of cost to anyone by entering only their email. Now, the well-known organization, Mozilla Foundation, of course, it is the creator of the well-known Firefox browser, recently launched a similar service called Firefox Send. At first, it could only be used in desktop systems, but earlier they promised an Android application and, in effect, they have fulfilled their promise now. As the well-known and new service of Mozilla, of course, I am talking about none other than the Firefox Send has been officially deployed on Google Play Store, although it still appears as “unpublished”, which means that it is a beta version which is under the testing phase. However, the fact is that at the moment any user can access it and use it for their needs, hence, we will see what it offers and how it is used. Basically, unregistered users can send up to 1GB of files completely free of cost. But, in case if you want to increase the size up to 2.5GB then let me clarify that it is necessary to register with the Firefox account. If you do not have it, you can create it for free from this link. 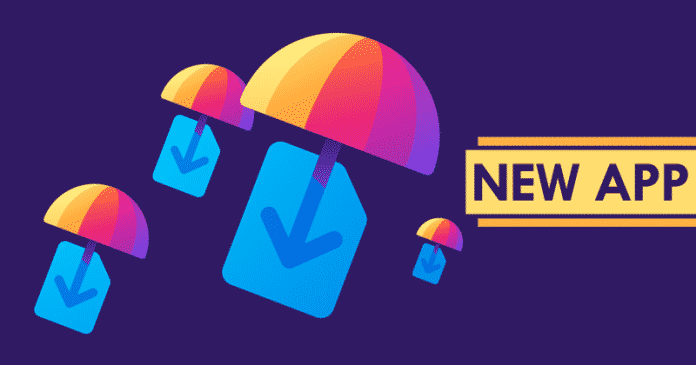 It is an interesting move on the part of the company, since the well-known similar service, of course, WeTransfer, that we could consider the direct rival, which offers free 2GB usage. As the operation of the app is quite simple just like the web version, as you simply have to click on the blue “+” button and select the files that you want to send. When you have them all, you can simply configure the link to expire after between one and 100 downloads and five minutes, one hour, one day or one week. In that sense, it is much more customizable than WeTransfer. As when you upload the file, a link will appear that you must copy and send to the contact to who you want to make receive or available the files. While now if we talk about the privacy, then let me clarify that Mozilla ensures that the files are encrypted from end to end so that no person other than you and your contact can only access them. For greater protection, you can even configure a password so that, when the user receives the download link, he/she has to enter it to proceed with it. Moreover, the most interesting thing is that the all-new Android app, of course, Firefox Send is a free tool that you can download from the Google Play Store. But, you should keep one thing in mind, that we are talking about a version which is currently in the testing phase, so it is possible that you may face any error. So, what do you think about this? Simply share all your views and thoughts in the comment section below.